Salvation and redemption cannot be obtained by anything but only the name of Jesus. When Jesus preached and people saw the signs and miracles he did, his name became known in no time. After Jesus had risen from the dead, his disciples started to preach in his name, too. His name spread like a wildfire across all borders. And today it's us Christians who are commissioned to preach and proclaim his name boldly and courageously. 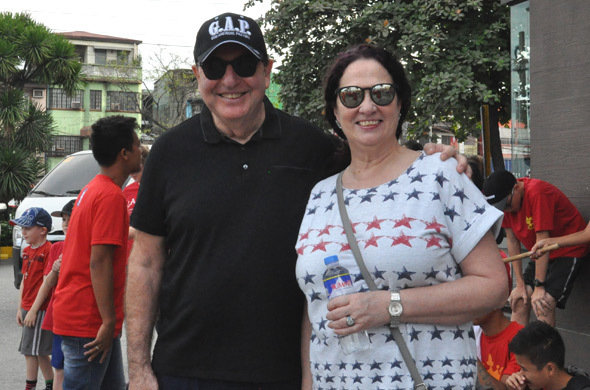 In March we travelled to Asia – Walter went to Phnom Penh (Cambodia), Irene went on to Manila (the Philippines). 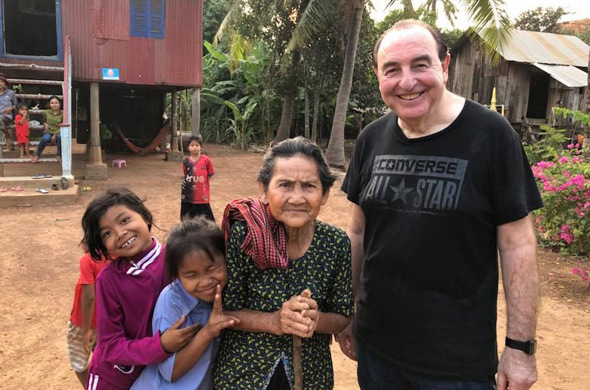 In Cambodia, Walter ministered to some very dedicated Christians, together with an international team of German and Thai friends. Several years ago, we got to know the leaders couple in Japan. Back then we were able to encourage them to take their land as missionaries. 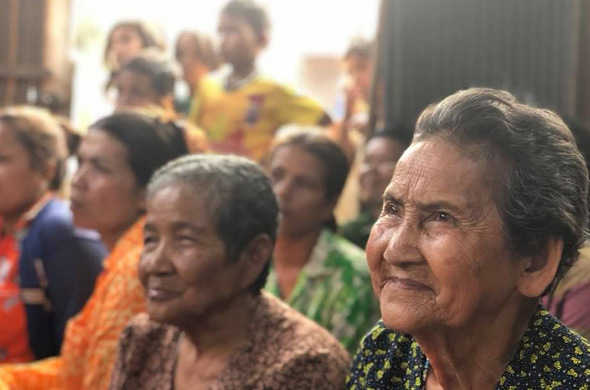 Today they advance God's kingdom in Cambodia, a nation whose natives believe that they descend from snakes and worship them. These poisonous or harmless creatures can be found everywhere. 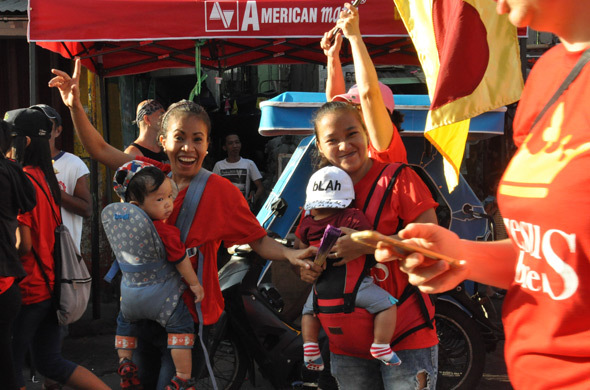 Today's Cambodia reminds very strongly of Thailand 30 years ago ... on top of it, it's a very poor nation. 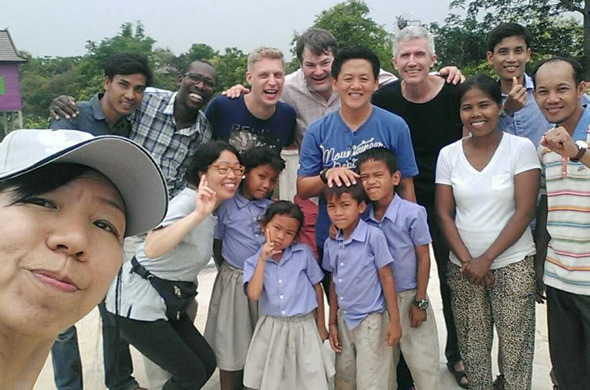 Our friends run a school for children from poor and needy backgrounds, who as joyfully as they listened to Walter and the team as joyfully accepted the Gospel into their hearts. Furthermore, our friends minister to the body of Christ. They invited pastors to attend a pastors meeting at which Walter ministered and encouraged them. However, the highlight was a trip to the jungle. The children and adults - who live in deep poverty - embraced the name of Jesus with open hearts. That way, house churches are planted on the countryside. 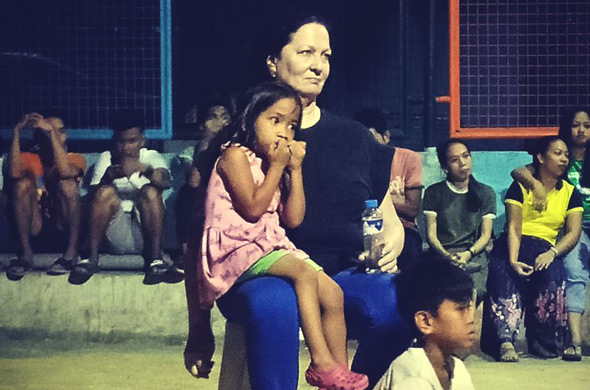 Meanwhile, Irene enjoyed being with our HELP family in the Philippines. It's always a joy to see our co-workers eagerly making the name of Jesus known wherever they go. When finally Walter and his travel companion Werner Iding arrived in Manila, too, things went very quickly. Awesome! 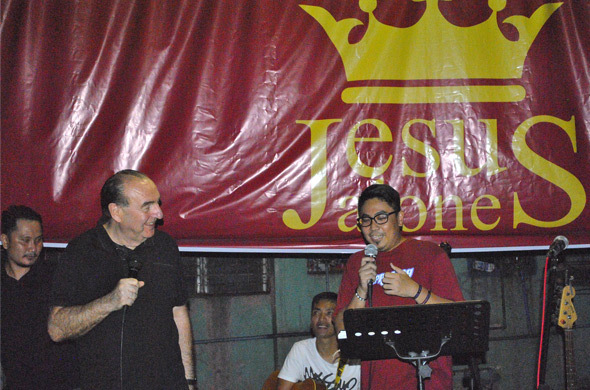 We did two night crusades in a church that we have become friends with in Manila, plus ministered at two other nights and one morning in Tondo. Only recently the HELP team has rented a small apartment in that slum region in order to be able to also stay overnight. Furthermore, Walter spoke in two churches of which one has literally been built on garbage. Again, we exalted the name of Jesus and the Holy Spirit confirmed Walter's message through powerful works. 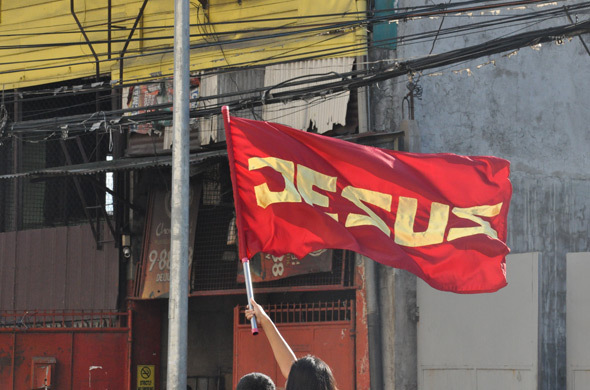 The highlight of our Tondo outreach, however, was the »March for Jesus« focussing on »Jesus alone«. We started at 7:00 AM with worship and praise. 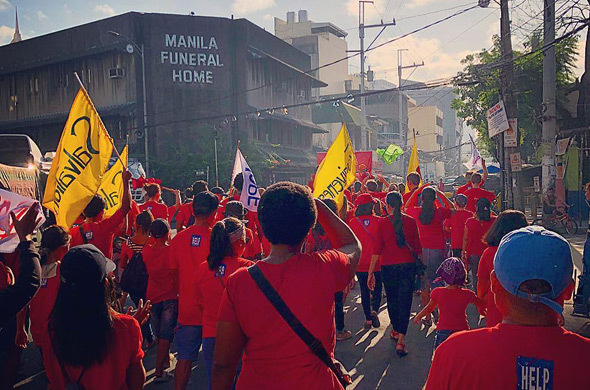 After a 5-kilometre-march and three hours later, we reached a basketball field right in the heart of Tondo, where we celebrated the name of Jesus at the following rally. The whole setting was very simple and the Holy Spirit seemed to enjoy it. We sensed a supernatural anointing of joy and God's power over the »March for Jesus«. It was beyond words. Thank you to our friends from other churches who joined us in the March. All of our HELP family was involved, too. Thank you so much for organizing this event. You did great! In Germany we must take the name of Jesus to the streets again. 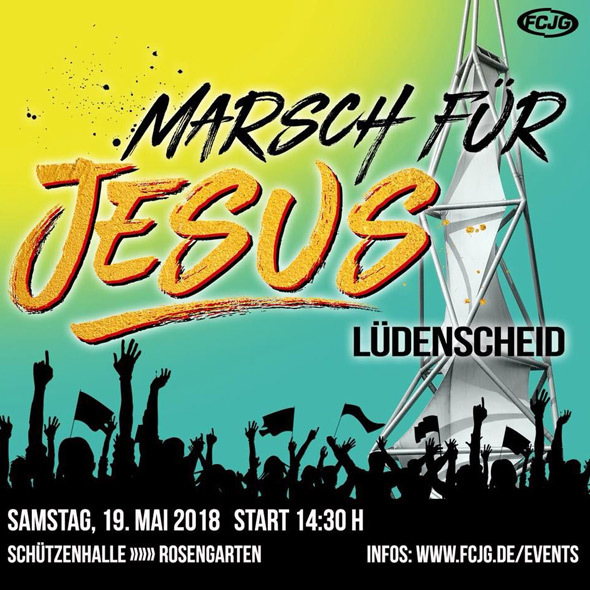 We are doing a »March for Jesus« in Lüdenscheid in the course of Burning Hearts which will launch into an open air crusade in the center of our town. Come and join us - everybody is most welcome. Date: Saturday, May 19, 2018 at 2:30 PM at the Schützenhalle. Please be on time! Thank you very much for all prayers and support. We are grateful that you are standing with us. The needs of this world are getting bigger and bigger - very sadly - and we will continue to go where God calls us and do what he says. We bless you with this powerful truth: Jesus alone! Make him known wherever you go.